- a) Mechanical surface preparation. - b) Chemical surface preparation. We are involved in providing the wide range of Octonol (Sonafab OT). It is Octonol based paste and liquid, gives good wetting and rewetting to the fabric. 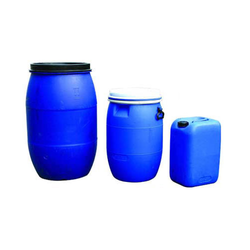 It is made from best quality material and are highly durable. It is easily available in the market at leading prices. We are providing all types of Surface Treatment Chemical metal pre-treatment chemicals. Finostab AWNI: Inorganic Stabiliser for peroxide bleaching of cotton and its blends. Finostab SS: Organic Stabiliser for peroxide bleaching of cotton & its blends. Finostab CBR: Organic Stabilizer for peroxide bleaching for continuous process. DADIA CHEMICAL IND. 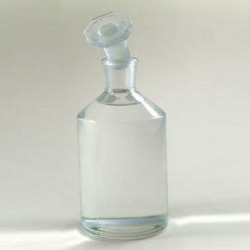 Is a sixty years old group of companies, mainly into Research, Development and Manufacturing of Speciality Chemicals. We have been working in India, Europe, China, Vietnam, Bangladesh & other markets. We have been working for many leading Indian & Multinational Companies. We offers a wide range of Pretreatment Chemicals to our clients that is widely used in different industrial processes in several industries. Our Pretreatment Chemicals is made from premium quality base materials that give it, matchless chemical and physical properties. Wetting & Rewetting Agents Available Brand : Thursnol OTL The wetting & rewetting agents are used in textile industry to increase the water absorbing efficiency of the fabric.